On behalf of the Board of Directors of the Constituency for Africa (CFA), it is our pleasure to welcome our sponsors and participants to the 2018 Ronald H. Brown African Affairs Series. We also wish to acknowledge and thank H.E. Arikana Chihombori, Permanent Representative of the African Union (AU) Mission to the United States, for hosting the policy roundtables and for her continued support of CFA and our initiatives. For over 27 years, CFA has established itself as one of the leading organizations in the U.S. committed to educating and mobilizing individuals and institutions in North America and throughout the Diaspora on issues of critical importance to Africa, as defined by Africans. CFA’s major annual event is the Ronald H. Brown African Affairs Series. Over the years, this Series has convened hundreds of workshops and forums that have focused on advocacy, analysis of government policy initiatives, knowledge transfer, and the mobilization of public and private sector groups. The Ronald H. Brown African Affairs Series is named after the late, Honorable Ronald H. Brown, who was the first African-American to serve as Secretary of the U.S. Commerce Department. The theme of this year’s Series is “CFA: Making the case for a fair, effective, and balanced U.S.‐Africa policy”. For the first three days we will convene roundtables on a range of key issues, including Peace & Security, Healthcare Infrastructure, Next Generation Leadership, and Trade & Investment. 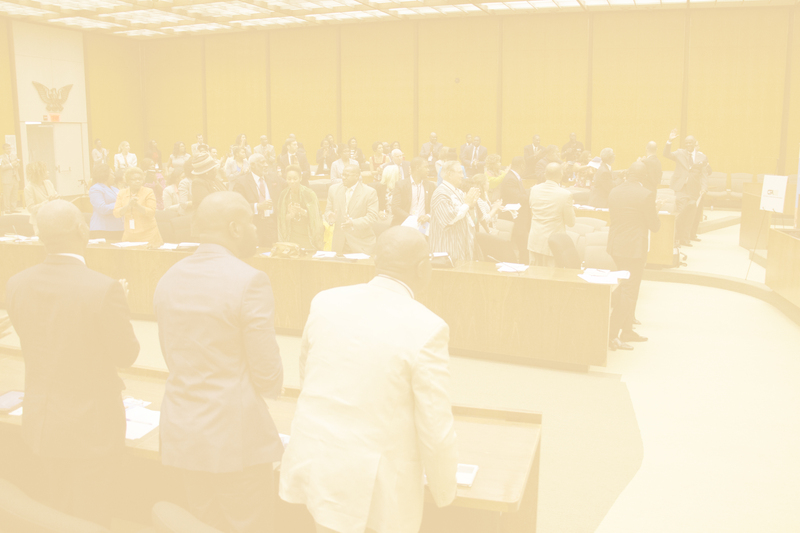 For each issue, roundtable participants will discuss and develop a Diaspora strategy to include draft policy recommendations for the U.S. Administration and the African Union. On Thursday, September 20th, CFA will convene a senior-level, bipartisan U.S.-Africa Policy Forum to consider the recommendations developed during the roundtables earlier in the week, and to debate and agree on specific, final recommendations that CFA will make to the U.S. Administration and the African Union. We look forward to a productive and impactful 2018 Ronald H. Brown African Affairs Series.